Thank you to Carpet One Floor & Home for providing me with a sample to facilitate my post. All thoughts are my own. I look forward to October every year because I love the beautiful Welcome a Cure Mats that Carpet One Floor & Home has to offer every year. October is Breast Cancer Awareness month and cancer has affected my family and breast cancer specifically has affected some very dear friends of mine. I love and support companies that so graciously support cancer research. 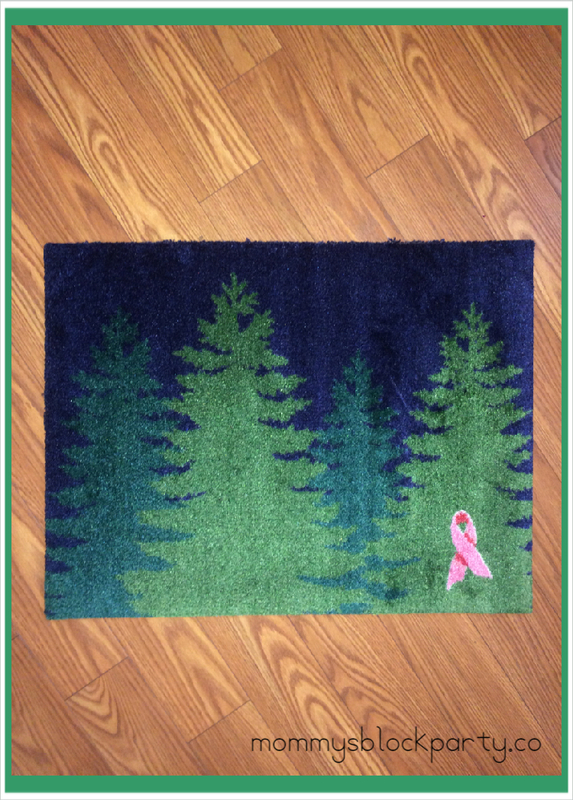 This is the 3rd year that I have worked with Carpet One Floor & Home and I am so proud to have 3 beautiful Welcome a Cure mats in my home. 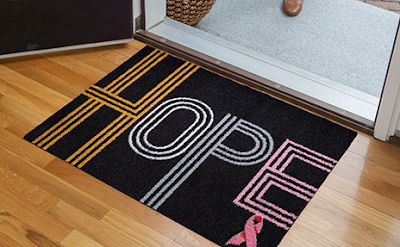 But I am even more proud of the work that Carpet One Floor & Home does with Breast Cancer Research Fund (BCRF). The selection of mats are always so pretty. I chose the trees this year because it reminds me of fall and I don't have a lot of fall decorations in my home. So, I have taken my everyday Welcome a Cure mat from 3 years ago and replaced it with a beautiful mat from the Classic Collection. These wonderful mats are an exclusive collection that are 2x3 and made in the USA. 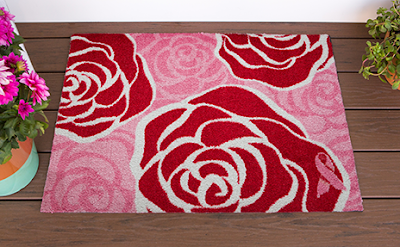 These mats are $29.99 with 25% of each sale going to BCRF. My beautiful mat from 3 years ago. I love how this mat looks with my floor. Head on over to the website and check out the beautiful selection. I can't wait to see which mats you all like. It was so hard to choose. 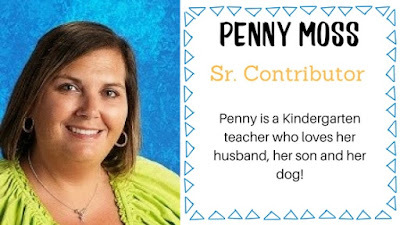 You can also connect with Carpet One Floor and Home on Facebook, Pinterest, Instagram, Twitter, and YouTube. 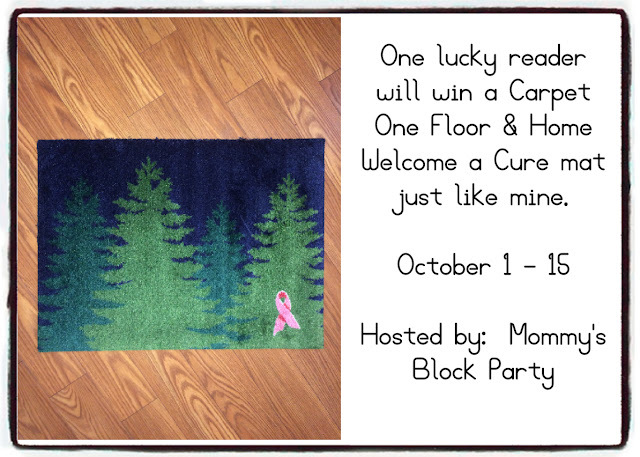 One lucky MBP reader will win a Welcome a Cure mat like mine! Special thanks to my friends at Carpet One Floor & Home for the honor of sharing this with our readers every October. I have known a few people who have fought cancer and living healthy now. I like the one in the modern collection that says "Hi!". I have a few friends that fought it! Thank God. I have known many people that fought it. Today marks 5 years cancer free for a child hood friend. I have several family members that have, my grandma, some cousins and myself. Hope Modern Collection is my favorite. I like the one with trees and the one with paw prints. I like the Pets Welcome mat. This has touched many family members so this cause is dear to our hearts. I like the red daisies mat from the bohemian collection. Our family dentist passed away 5 years ago from breast cancer. My favorite is the second one listed in the farmhouse collection. I entered your Dylan's Candy Bar giveaway. 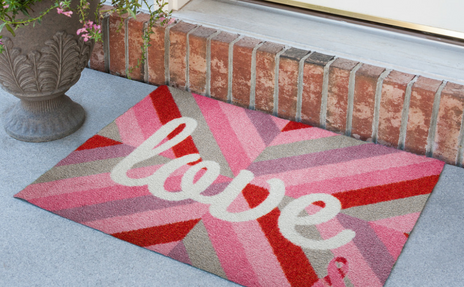 I love the Love mat! My favorite is the forest.